A fun fact to start of with is that a recovery workout doesn't necessarily has a training effect, but it does accelerate your recovery. The advantage? You can start your next workout sooner. Of course, your recovery period also has to do with other aspects such as age, physical condition, etc. In addition, STOX Recovery Socks can shorten your recovery period. Thanks to the medically-justified compression technology, muscle fatigue is reduced and the disposal of waste material is promoted, which speeds up recovery. 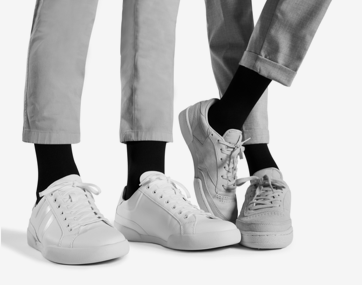 In addition, the socks improve the drainage of blood and fluid, which speeds up the recovery period of injuries such as tibia irritation, calf and Achilles tendon problems. What actually is a recovery workout? This is a short workout on a low heart rate. This way, your muscles absorb oxygen faster and this ensures that you improve the disposal of the body waste. A recovery training has the sole purpose to - the name says it all - recover. The trick is to walk in the same pace the whole run. Due to this active recovery, less fluids will remain in the muscles. A recovery run doesn't actually takes longer than 30 to 45 minutes. Are you going for a recovery ride on your bike then this doesn't take longer than 60 to 90 minutes. Make sure you stay in zone 0-1. Why plan a recovery workout? Most of the time, an active recovery is better than a passive recovery. We understand that if you have gigantic muscle soreness, you would rather sit on the couch. However, it is really good to train at low intensity. You can do this in the gym or you can go for a short run, ice skating, cycling, or walking. As long as you move at low intensity. What else works for a fast recovery? We wrote about this before and it probably sounds like music to your ears: sleep is the foundation of your recovery! Working out a lot means sleeping a lot. Read our blog about How many rest do you need when you exercise frequently. In addition, it helps to wear STOX during your workout. The smart injury prevention prevents muscle damage and reduces muscle fatigue and the chance of shin splints. 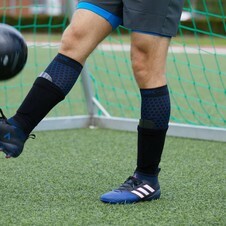 The socks promote the removal of body waste which speeds up recovery. 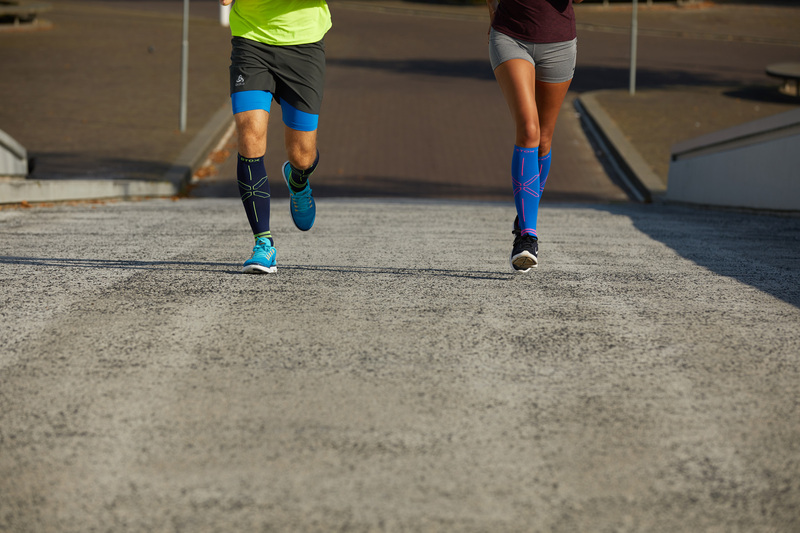 In addition, STOX Running Socks provide the perfect support by stabilizing the ankles and shins. 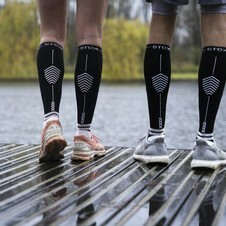 All compression socks of STOX contain the medically proven compression technique that ensures that your legs are firmly pressed together, stimulation blood circulation and oxygen supply. Experience the advantages of the medically proven techique!